When it comes to saving money, the most effective way to proceed is to save money on everyday expenses. The things that you spend money on each day have a huge impact on your financial well-being over time. If you can reduce your daily costs, the savings add up over the years and can result in a huge amount of financial freedom. One of the ways you can benefit from this philosophy is to learn how to save money on groceries. When you get in the habit of saving on groceries, you have a skill that can benefit you for most of your life. Clipping coupons doesn’t have to be a huge chore. Do it while you’re relaxing in front of the TV one evening a week. As long as you keep your coupons organized, and as long as you only clip coupons for items that you know you will buy regularly, you should be able to shave your grocery bill. Take the time to find out what’s on sale for the week. Then, buy those items that are on sale. It seems very obvious and straightforward, but it’s surprising how many consumers don’t take a look at sales and plan accordingly. If you can use your coupons at the same time that you are getting a great sale price, that’s even better. You end up with bigger savings, and your grocery bill shrinks. Meal planning can be one of the best ways to save money on groceries. When you have a plan (and a list to go with it), you are more likely to avoid the impulse purchases that can drive your grocery bill higher. Plus, if you take the time to plan ahead, you can create a meal plan based on what’s on sale and what you have coupons for. That way, whatever you buy that week is cost-efficient. Sometimes it makes sense to buy in bulk. If you have a good coupon, or if there is a good sale, or if the per-unit price is particularly low, buy in bulk. This works with items that you can easily store for the future. This includes items that can be frozen, or that are non-perishable (such as canned goods) that you can keep in the pantry. Buy higher quantities now, when the price is lower, and you can stave off the effects of food prices inflation as well as save money in the long run. When you do this, though, you need to make sure that you can use all of your food before it goes bad. A little planning is in order here, too, so that you can plan to use up what you’ve bought over time. With a little careful planning and thought, it’s possible for you to stock up on groceries and not break the bank. 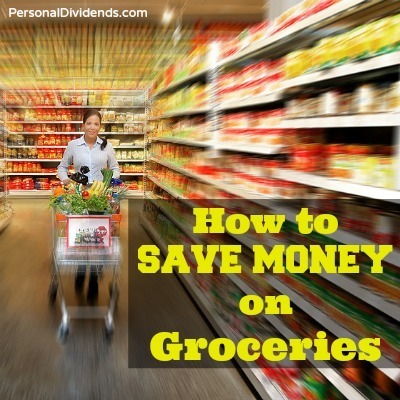 How to save money on groceries is a question that just about anyone can answer with a little diligence and attention.